Watched this in the theater and loved it. I remember being really hyped for it. 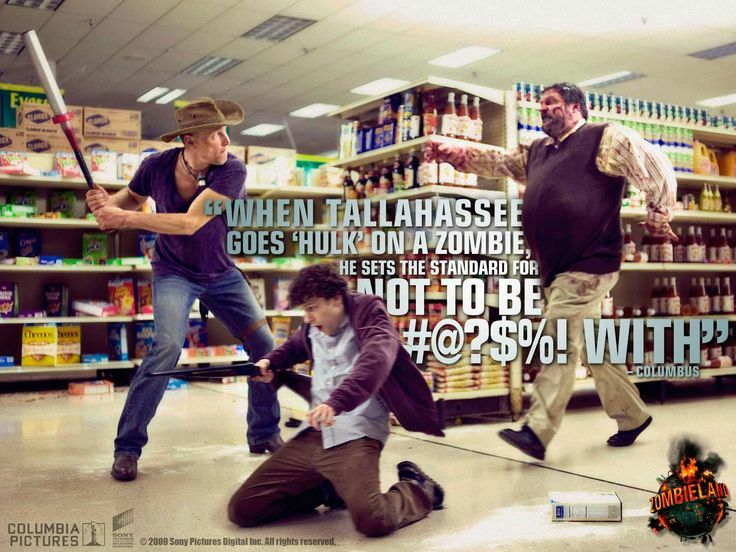 I am personally a big fan of Woody Harrelson and Zombies. So, this was right up there. It actually turned out to be much funnier than I thought it would have been. Even with Jesse Eisenberg. 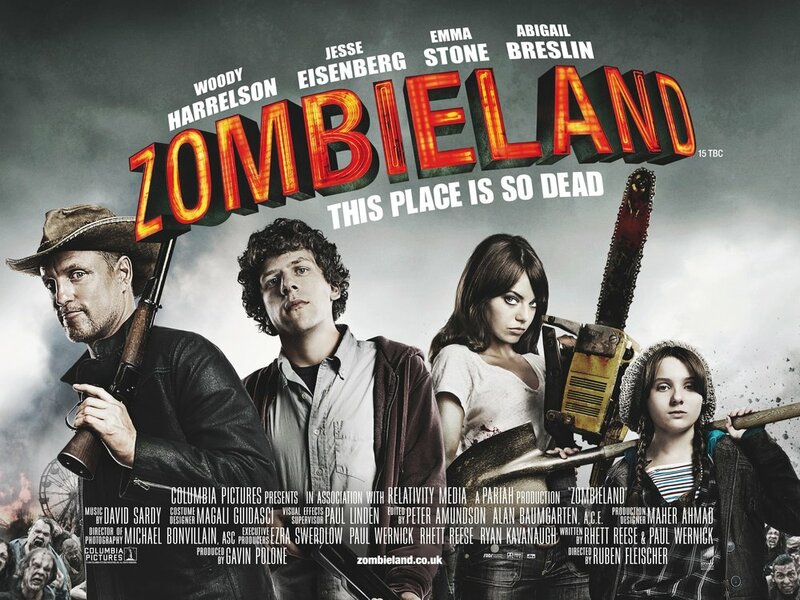 Zombieland is about a young man that is just trying to reach his loved ones during the Zombie Apocalypse. During his journey he finds another traveler and the two form a small group. They end up running across some more survivors (girls) and thus begins the conflict. This movie is about a group of survivors that are trying to get from Point A to B with Zombies chasing them throughout. It's predictable, it's campy, but it's smart and well done. 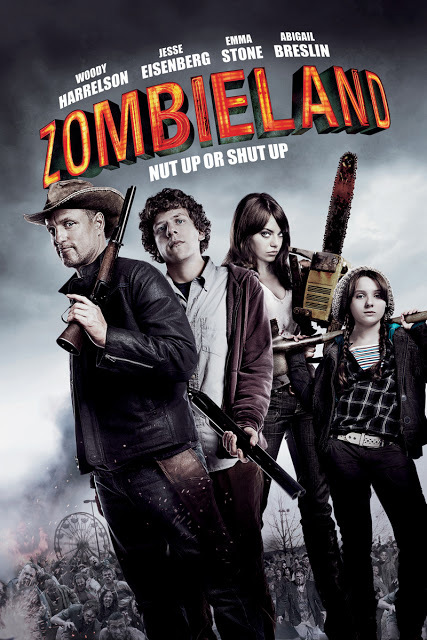 Ruben Fleischer wanted to give the masses a big budget zombie movie and he did well with Zombieland. It paid tribute to the Zed word and is a perfect addition to the genre. It has a great mix of all the right elements including gore, suspense, shocking terror, and superb humor. It's no surprise that Bill Murray makes an appearance. It was widely popular and for good reason. He is hilarious. It's almost so good that this movie becomes less of a horror movie and more of "that Zombie movie that Bill Murray was in." This is pretty much an American version of Shawn of the Dead, which is also very good. I really like the implication of using the rules for surviving (i.e. #4 Don't Be a Hero, #13 Cardio... etc.) It gives the movie a Zombie Survival Guide type feel, which i really like. You can instantly sit down and be engrossed in this on so many different levels. The comedy is top notch and the horror is rewarding. I recommend this movie to the casual horror fan. If you are looking for something to watch, this will no doubt make you laugh. It's a great date movie and it borders on the edge of being family appropriate. Woody Harrelson was arrested for marijuana possession during filming, which delayed shooting for a day. The script, originally a television pilot, was heavily revised to become a feature film. Patrick Swayze was offered a cameo role as a zombie before his cancer diagnosis. His scene would have parodied other Swayze movies like Ghost (1990) and Dirty Dancing (1987). Zombie cameo roles were also offered to Joe Pesci, Mark Hamill, Dwayne Johnson, Kevin Bacon, Jean-Claude Van Damme and Matthew McConaughey. The biggest opening weekend of any film in Woody Harrelson's career; $24.7 million. Harrelson's previous best weekend debut was Indecent Proposal (1993), with $18.3 million. The record was beaten a month and a half later by 2012 (2009)'s $65.2 million opening. This record was then defeated by The Hunger Games (2012) with an opening of $152.5 the first weekend.